Guess what, guys? This is my ~ 10TH POST ~! Eeeeee, I can hardly believe it’s only been a little over 2 months since I started Bake du Jour. I’m having a great time sharing these recipes with you all and I hope you’re enjoying them too. Thanks for your continued support, everyone! 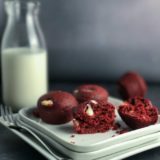 Now let’s get to these Red Velvet Mini Muffins! 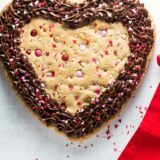 With just a few weeks until the big hugs and kisses Hallmark holiday, I thought it only made sense to introduce a red velvet recipe to Bake du Jour. I don’t know about you, but I love red velvet. I know it’s not for everyone, but let’s face it. There is no escaping red velvet! It’s everywhere! If you’re not a a red velvet fan, that’s okay. Maybe you can color these blue or purple or black (!!!) instead. 🙂 Red’s my favorite color, so I’m going all in here. Fun fact: the first thing I ever baked were eggless red velvet cupcakes. 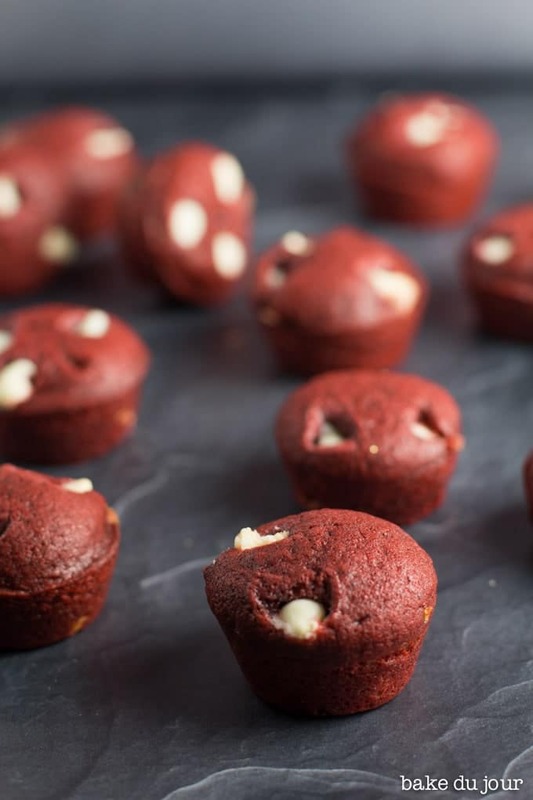 I was desperate to find out what the red velvet craze was all about, but I was too afraid to try it because of my egg allergy (don’t worry – it’s a very minor allergy and I have since learned that I am a-okay with consuming eggs in baked goods). 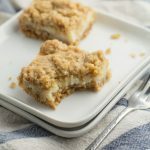 And so, I took to the Internet and visited my very first food blog! One thing led to another and I found myself at the grocery store buying a cupcake pan and red food coloring. What an exciting time to be alive! I guess you can say red velvet holds a very special place in my heart. FYI, these muffins are also eggless. I thought about making red velvet cupcakes for a hot second, but I quickly brushed the thought away and decided to do something a little different. 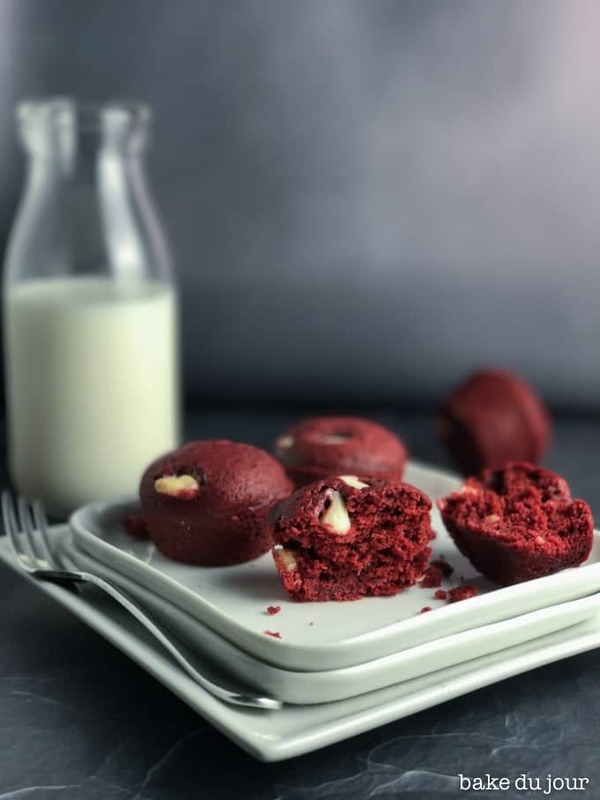 I hadn’t made muffins in quite a while, let alone mini muffins, so I chose to make a red velvet version and to throw in some white chocolate chips at the end. 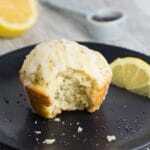 Of course, you can certainly adapt this recipe to make full-sized muffins, but I really like the look of mini muffins. This is the mini muffin pan I use, by the the way. I’ve had it for years and it has never let me down! The best part? You don’t need a mixer for these little muffs. Just a bowl and steady hands with the food coloring (lest I forget all of the red blotches on my counter years ago), and you are well on your way. If you adapt this recipe to make full-sized muffins just up the bake time a bit – these took just a little over 10 minutes to finish baking. 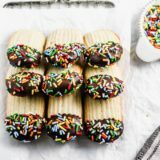 The recipe yields 2 dozen mini muffins, so it should come out to an even dozen if you make the full-sized version. 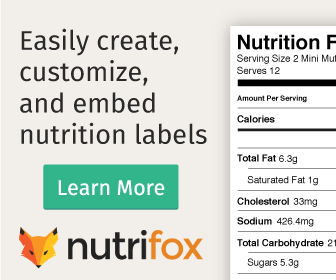 Try these out and let me know what you think by leaving a comment below and rating the recipe! 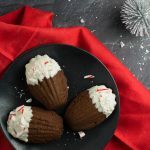 They are the perfect bite-sized treat for Valentine’s Day breakfast. P.S. The first photo in this post was taken with an iPhone. AN IPHONE! My mind is blown. Technology never ceases to amaze me. A bite-sized red velvet treat that’s perfect for Valentine’s Day breakfast. No mixer needed! Preheat oven to 350 degrees and spray a mini muffin pan with nonstick spray. In a medium bowl, whisk together the flour, sugar, cocoa powder, baking powder, baking soda, and salt. 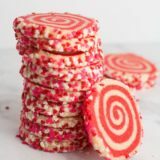 Add the buttermilk, melted butter, vanilla, red food coloring, and white chocolate chips into the dry mixture and whisk until combined. Fill each cavity of the muffin tin until they’re about 2/3 full using a #60 cookie scoop or a tablespoon. Bake for 10-12 minutes, until a toothpick inserted into the center comes out clean. Allow the pan to cool on a cooling rack for 5 minutes. After 5 minutes, turn the muffins out onto the cooling rack and bake the next batch. 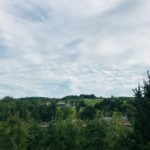 Congratulations on the new blog! Your muffins sound delicious! Congrats on starting your new blog. Looks like you’ve been at it for a long time. Love the white chocolate chips and the mini bite-size muffins. Delicious! Yum! I would love to grab a couple these on my way to work! That’s exactly why I wanted to make mini muffins! Thanks so much Laura! I know, I still can’t believe that my iPhone produced this photo! 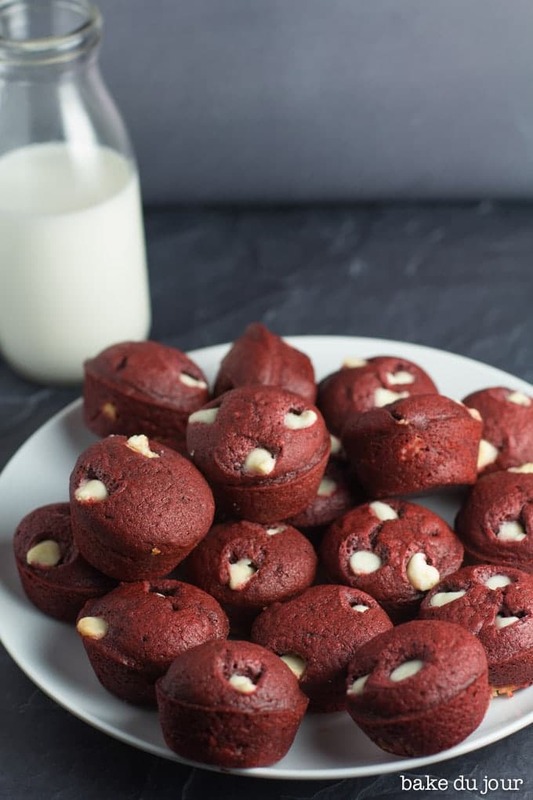 These red velvet mini muffins look so good! Gorgeous clicks! They look so sweet and perfectly sized, love the addition too, they look perfect. Congrats on the new blog. Very elegant design too! I love red velvet cupcakes these look so perfect. That sounds like a great idea! 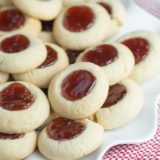 These are so easy to make, I bet they could help with the baking process too! For sure – I’m all for a big ol’ slice of cake but sometimes you just need to tone it down a little haha. And thanks! 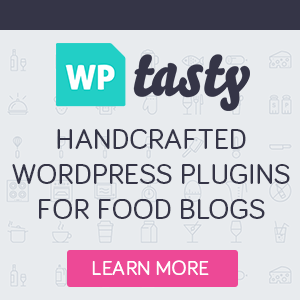 So lovely to officially be a part of the blogosphere!